Adult-film actress Stormy Daniels told Anderson Cooper in a “60 Minutes” interview that during her alleged affair with now-President Donald Trump in 2006, he told her “not to worry” about his wife or newborn son. Trump told her that he and now-first lady Melania Trump had “separate rooms,” she said. Trump has not directly addressed the actress’ claims, but White House press secretary Sarah Huckabee Sanders says he denies them. 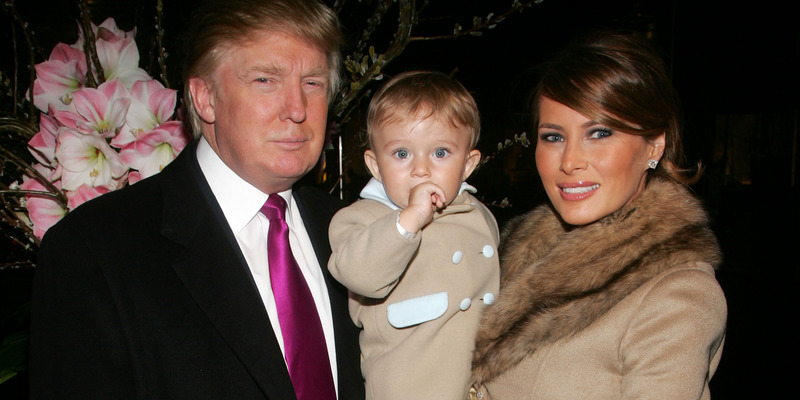 Adult-film actress Stormy Daniels told Anderson Cooper in a “60 Minutes” interview that during her alleged affair with now-President Donald Trump in 2006, he told her “not to worry” about wife Melania or his son Barron, who had been born several months prior. Cooper asked Daniels, whose real name is Stephanie Clifford, if Trump had mentioned Melania or Barron, who was born in March 2006. “I asked,” said Clifford, referring to Trump’s family. “We don’t even – we have separate rooms and stuff,” Trump added, according to Clifford. The actress claims she had an “intimate” relationship with Trump between 2006 and 2007. Clifford entered an agreement with Trump and his attorneys in 2016, in which she received $US130,000 to stay silent about her accusations. Clifford is now seeking to void her “hush agreement” with Trump and has offered to return the $US130,000 so she can speak publicly about her experience. Trump returned to Washington from a weekend at his Mar-a-Lago resort in Florida, shortly before the Clifford’s “60 Minutes” interview, according to People Magazine. Melania remained in Florida with Barron. “The First Lady will be staying in Florida as is their tradition for spring break,” deputy press secretary Lindsay Walters said in a statement.